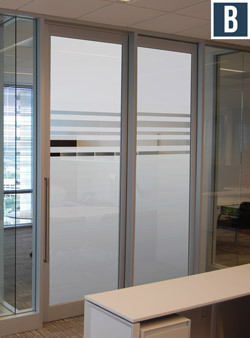 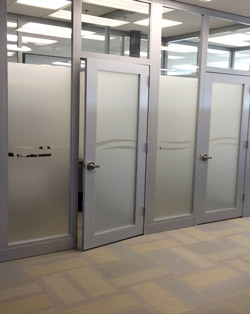 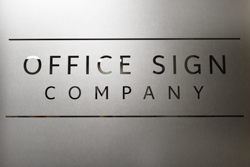 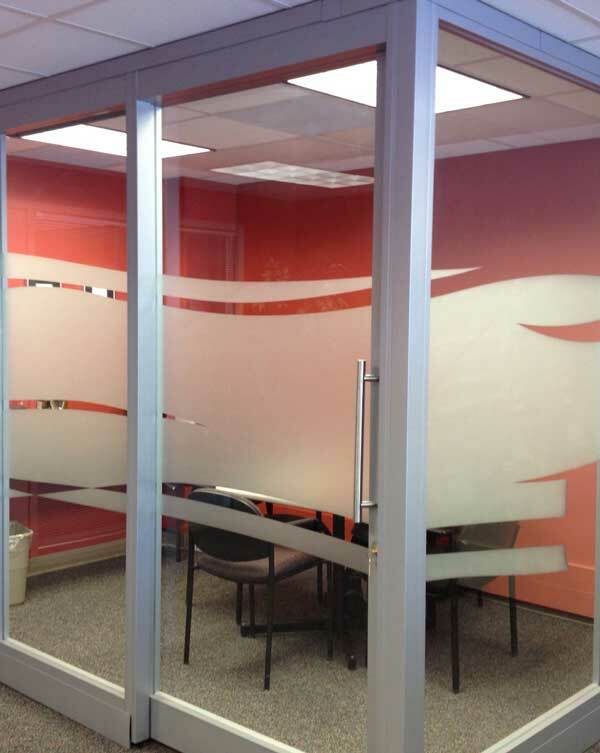 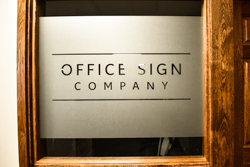 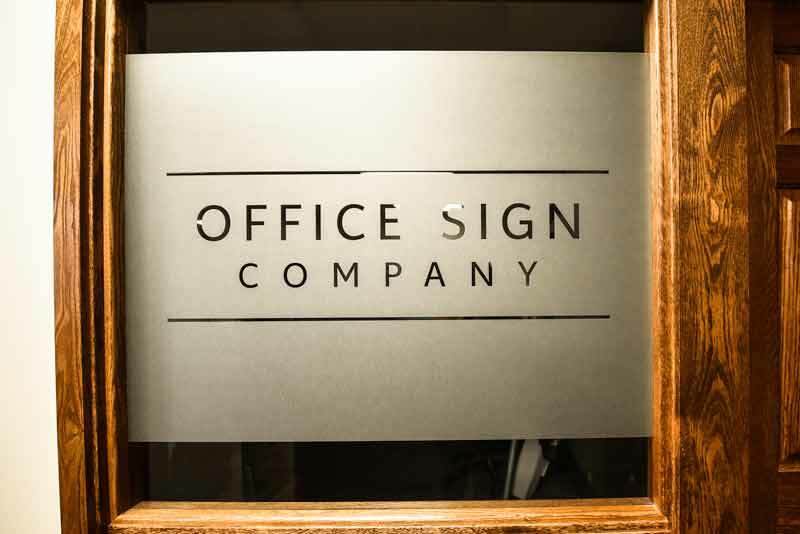 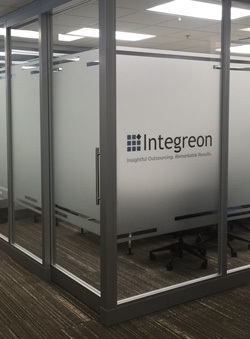 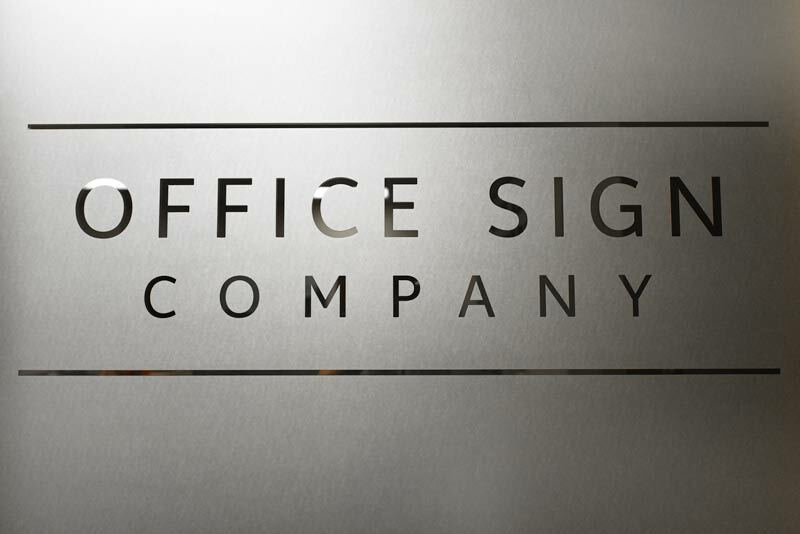 Etched vinyl is a great way to ensure privacy in offices and conference rooms with large glass windows or glass walls. Applying privacy film to glass medical offices or glass meeting rooms is an easy solution for making your space less public. 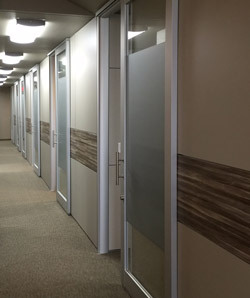 Regardless of what type of business your company does, it's nice to have a little privacy from outsiders (especially with full walled glass offices or conference rooms). Using full panels of etched vinyl as privacy film is a great practice. 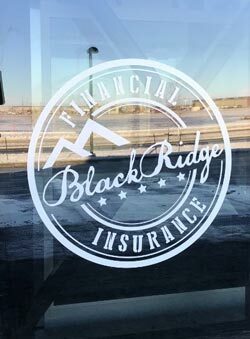 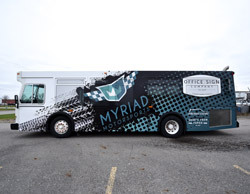 Include your company logo or custom design etched out of the vinyl (as shown in some of the photos), or go with one of our standard designs.